A bipartisan bill directs the Oregon Health Authority to explore the option of offering all Oregon families with newborns access to home visits from nurses. Oregon lawmakers are considering a proposal that could lead to in-home visits from a health professional for all new parents. The idea was part of Gov. Kate Brown’s budget proposal, and a bipartisan bill before the Senate Committee On Health Care would bring it closer to becoming a reality. 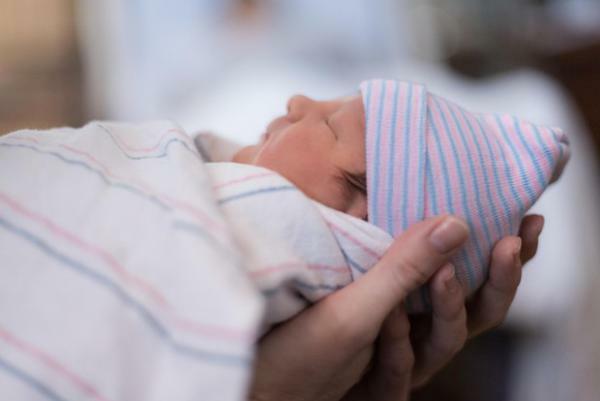 In its current form, the bill would direct the Oregon Health Authority to study a program that offers up to three home visits for families with newborns, starting when the babies are 3 weeks old. State Sen. Elizabeth Steiner Hayward (D-Beaverton) is one of the bill's co-sponsors. She told OPB's "Think Out Loud" that she wants to direct the health authority to develop a five- to six-year plan to roll out universally offered home visiting throughout the entire state, regardless of families' insurance status or geographic location. Steiner Hayward cited postpartum depression screening as one of the many things a nurse could accomplish during a home visit. The state currently offers home visits to some families with newborns through programs with eligibility requirements. Those programs are limited to families who qualify for Medicaid or who are considered "at risk" in some quantifiable way. Steiner Hayward acknowledged that conversations are still ongoing with private insurance companies about extending home visits to families across the state. "We're still working out the details of how it's going to happen and how it's going to get paid for, but many of them are recognizing that the value in reducing emergency department visits, in identifying postpartum depression and anxiety very early and intervening, in connecting moms with services to help them bond successfully and get their baby in for the right visits," she said. Steiner Hayward stressed the service would be completely optional. Nurses would visit new mothers in the hospital and explain the program to them. If they opt in, the nurses would schedule the home visit. Cate Wilcox, the manager of the Maternal and Child Health Section at the Public Health Division of the Oregon Health Authority, gave some examples of concerns that a nurse could address during a home visit. "Is the baby gaining weight? How is breastfeeding going? How are you feeling? Those are some of the health aspects. Then there would be some social aspects: Do you have childcare? Are you attaching well? How has your child played? Is the home safe?” she said. Abigail Eckhart is one of a handful of people who testified against the bill at a Jan. 28 legislative hearing. "This bill is asking for a government official to be allowed into their homes for what basically is a welfare check," she said in her written testimony. So how would a nurse handle a situation where she learned about a family sleeping with an infant in their bed, something public health officials consider dangerous because of the risk of Sudden Infant Death Syndrome (SIDS)? Wilcox explained: "To be clear, a nurse is a mandatory reporter for abuse and neglect only." "And so when they see the co-sleeping, it's not about being judgmental. It's about the education and the information to help that family be safer and that infant to be safer." Steiner Hayward said her own personal experience with postpartum depression, in addition to her professional background as a family physician, has been a motivating factor in her support for this bill. "I was married. I was a physician. It was a planned pregnancy. My husband was a successful father already. I had everything going for me, and yet I still had this completely common biologic occurrence of having this depression, and it would have been incredibly helpful to have a trained nurse come in and help me," she said. In her testimony before the Senate Committee On Health Care Jan. 28, Wilcox laid out how an initial investment of $4 million could be leveraged to get a universal home visiting program up and running. "We anticipate conversations with insurers to take about a year to establish the criteria for home visiting to reach every family in Oregon," she wrote. "This phased approach will establish a Universal Home Visiting program that can seamlessly expand to all families including those with commercial insurance by 2026."